Arrival to Osaka from Kyoto is so much easy with the JR train. It just took us 1 hour time to reach Osaka station from Kyoto station. However, since I chose to stay in Namba area, we need to take the transit two lines before arriving to Namba station. 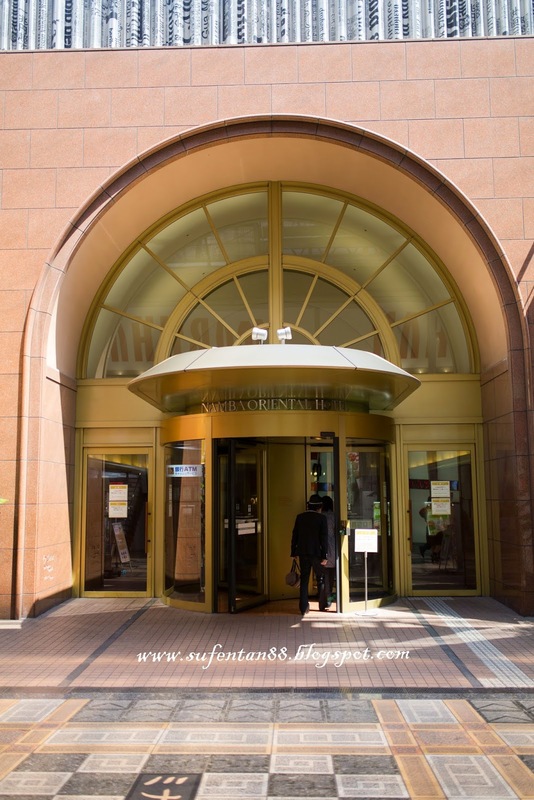 In Osaka, I picked to stay in Namba Oriental hotel as it is near to the train station as well as walking distance to all major malls and food outlets. I have also posted a write up on this hotel, read here for more information on the hotel. Since, we arrived few hours early, the hotel unable to let us check in. Please be reminded the Japanese are quite serious on their timing. They only allow you to check in on time. So, we leave our luggage bags in the hotel and went to the street to find food for lunch. 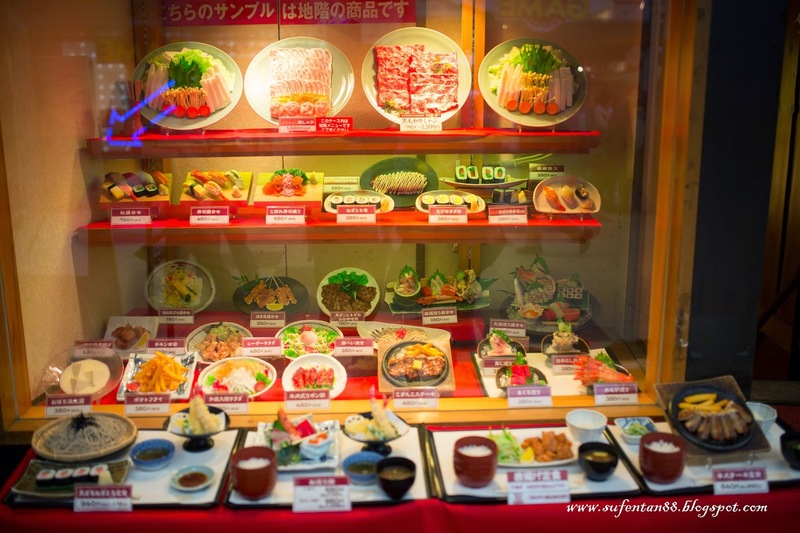 It is very convenient to stay at Namba as every streets are filled with restaurants and cafes. We just simply choose one of the restaurant and dine in. This is what make us attracted and picked them as our lunch area. 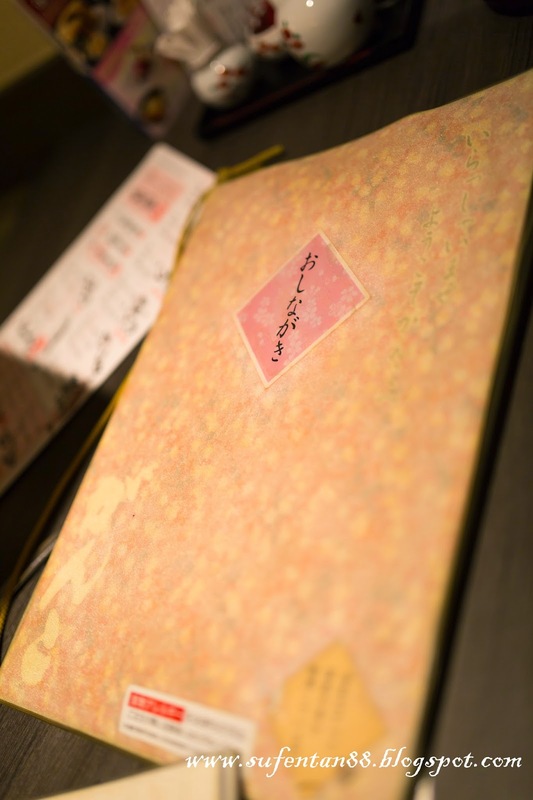 Menu is written in Japanese, I ordered based on what I wanted to eat and he read the menu. I unable to recall he price but the Chicken Katsu is quite unique as it is soak in the soup with egg. The taste is super nice too. So far, every outlet we went, their quality of food is as good as those high end Japanese resturant in KL but price is far better. 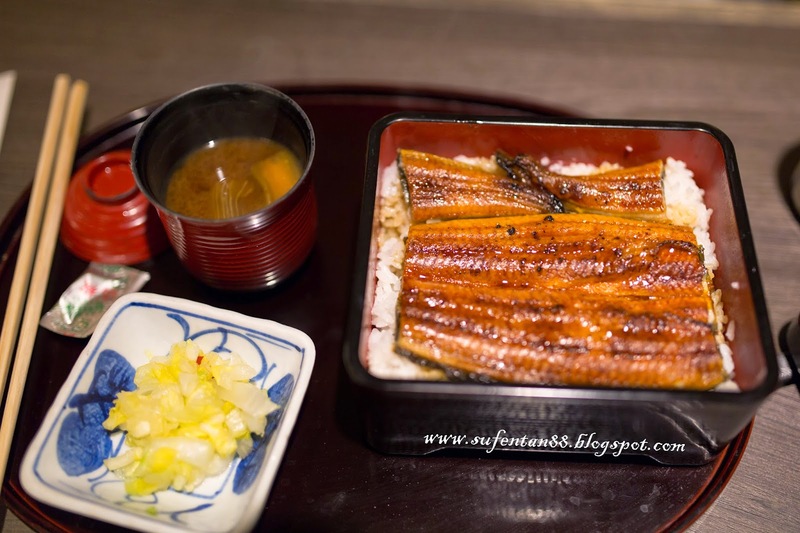 We ordered the smaller set of Unagi and it came out to be out of our expectation, Almost full size Unagi don, can hardly find in KL nowadays with such a size and price. The price if not mistaken is below RM 50. 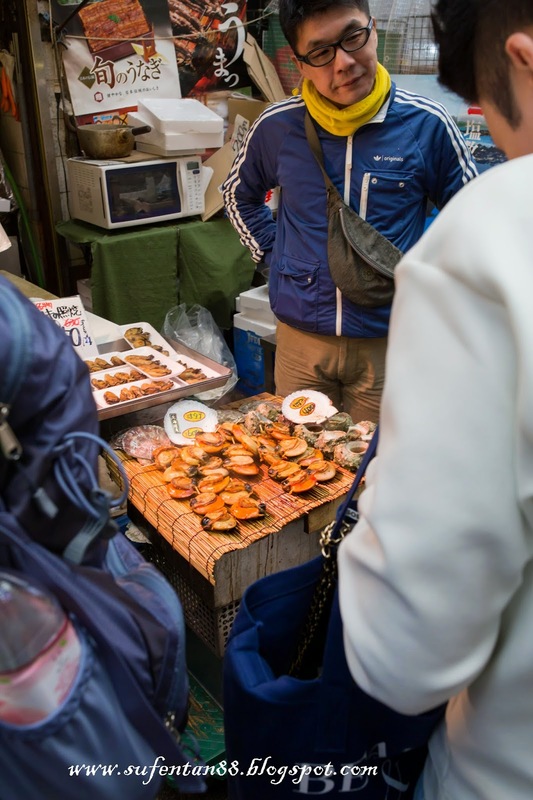 After our lunch, we walked to one of the famous morning market-Kuromon which is 5 min walk from our hotel. 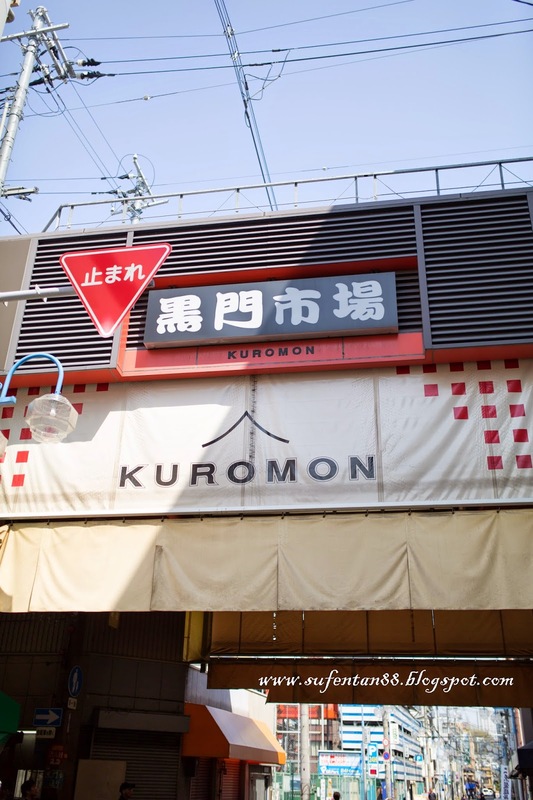 Kuromon market is also named as Osaka Kitchen which has 580 meters long with 191 stores. 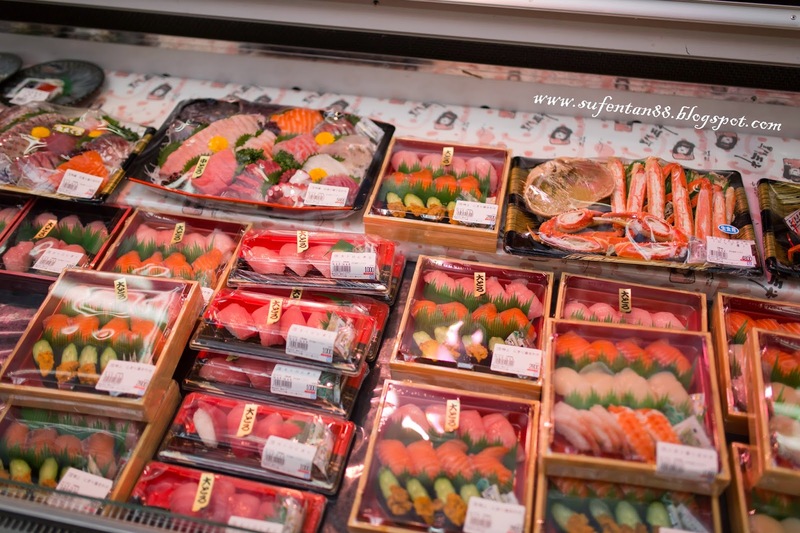 You can find a wide variety of products including fresh fish, seafood, meat, clothes and other general goods. Here is the map showing some of the famous outlets. You can also get their flyers there to assist on the outlets' background and location. 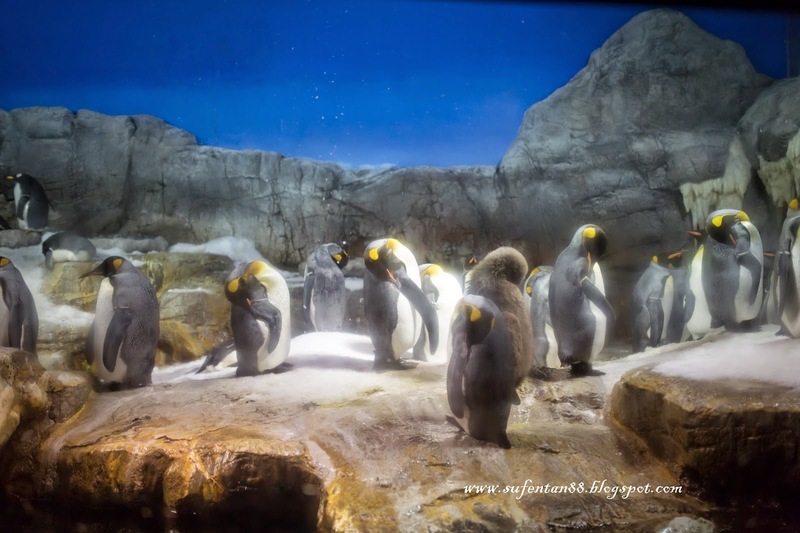 Next station, we went to the one of the Japan's most spectacular aquariums- Osaka Aquarium. 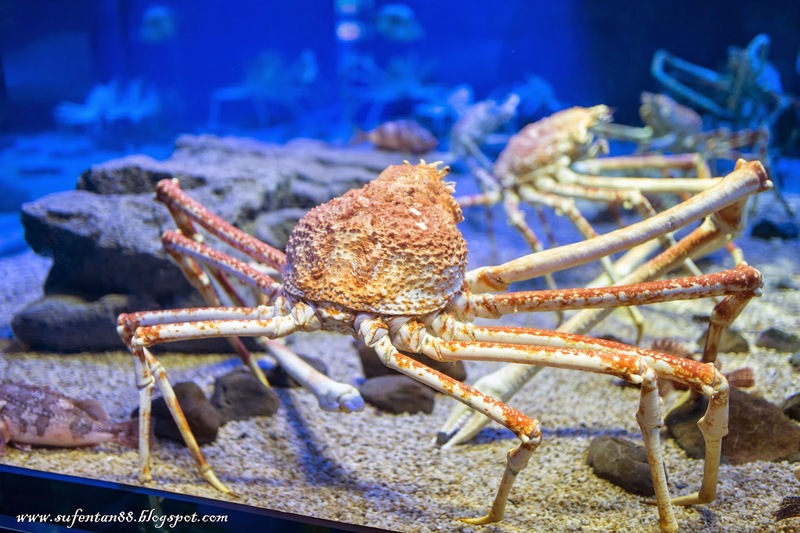 It is also known as Kaiyukan that is located in the Tempozan Harbour Village of Osaka's bay area. 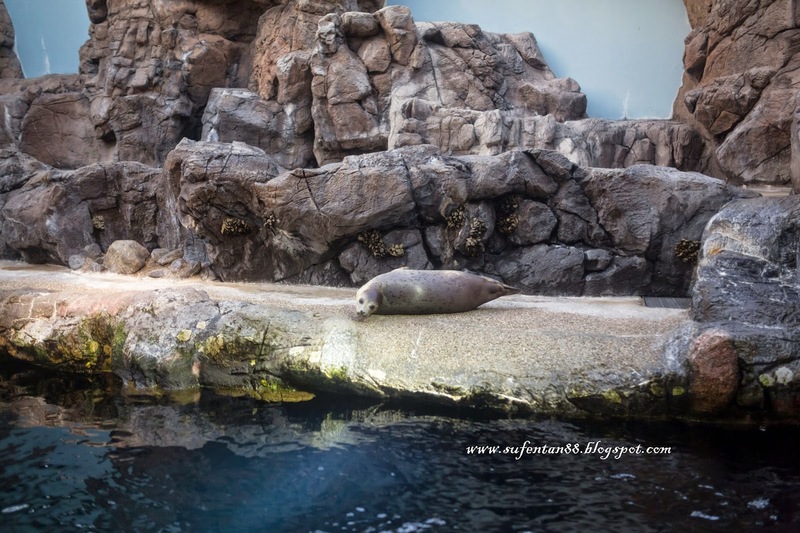 The Aquarium consists of 15 tanks that organised in a form of similar to the Pacific Rim and Pacific Ocean. Each tank representing a specific region of the Pacific Rim. 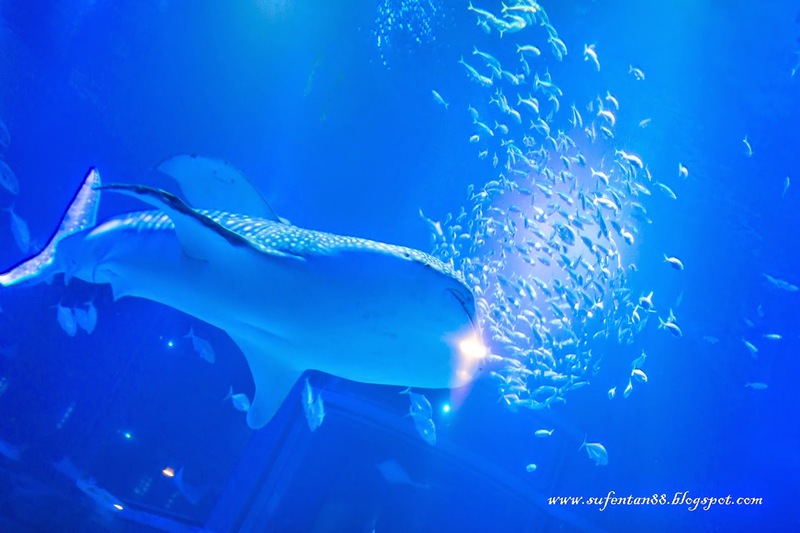 The central tank has 9 meters deep is the home to whale sharks. 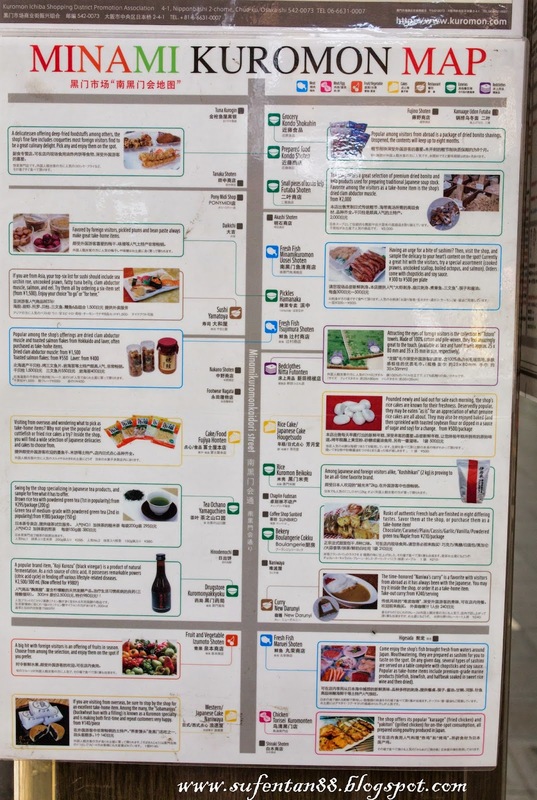 How to go: Take Chuo subway line to Osakako Station. 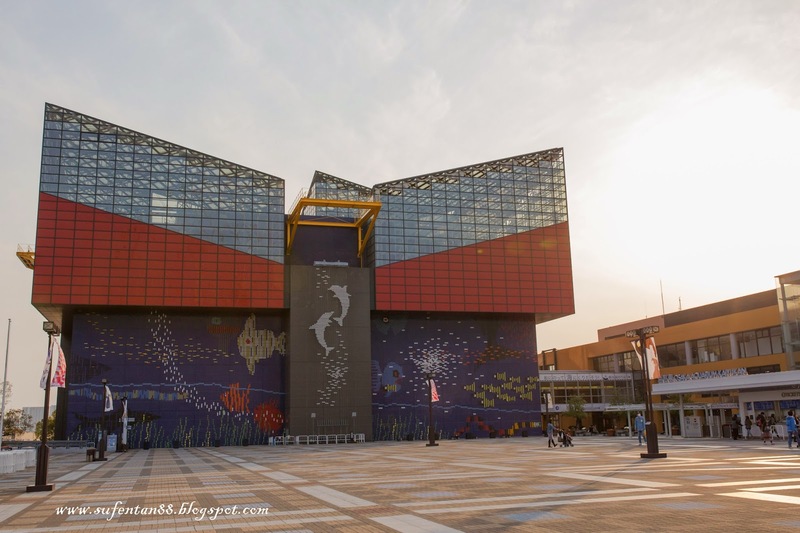 Osaka Aquarium is 5 mins walk from the station. 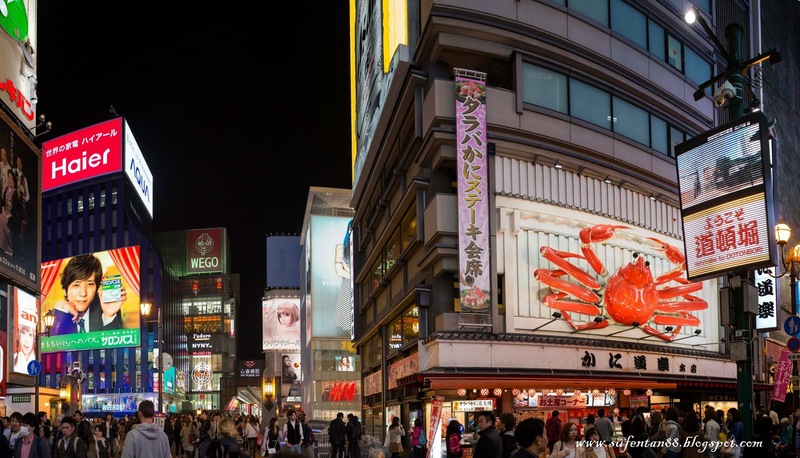 Dotonbori is best seen at night as it is famous for their huge signboard around the place. 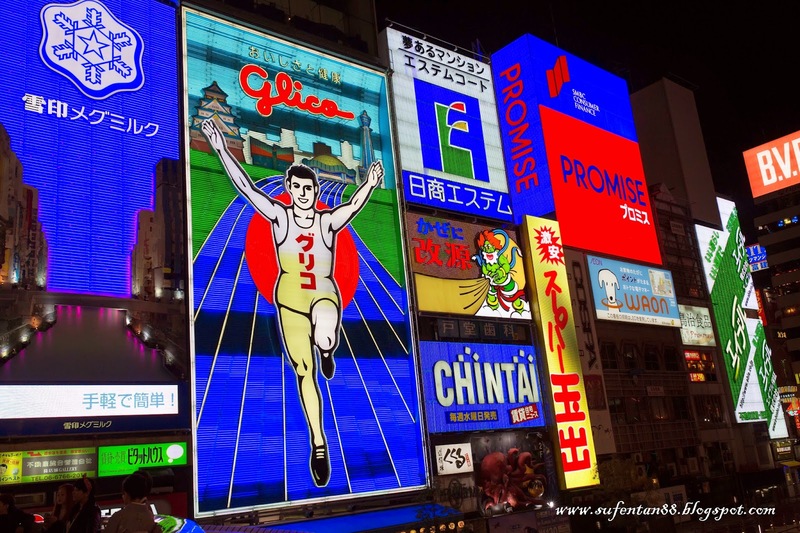 Dotonbori is one of the popular area in Osaka for its street runs parallel with Dotonbori canal. 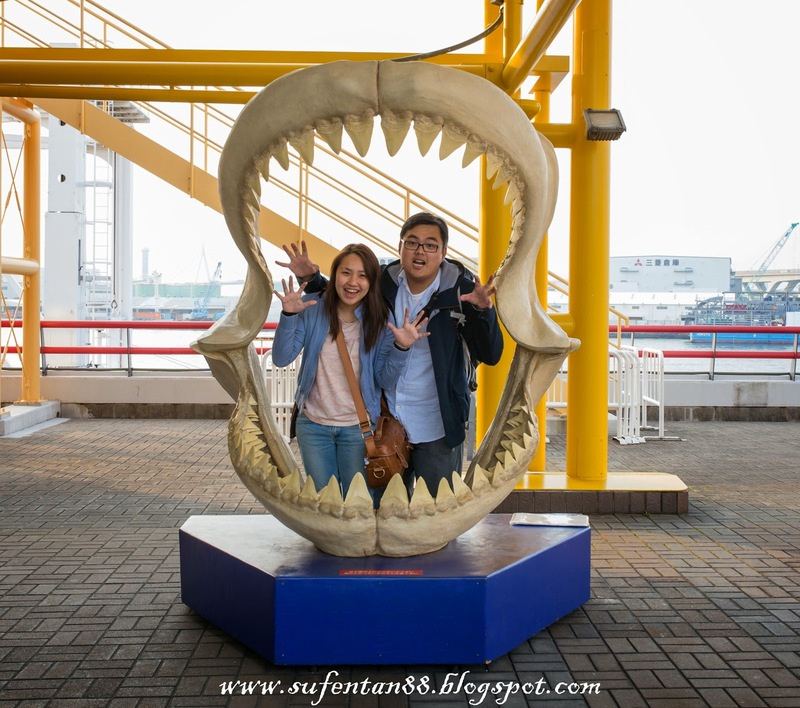 It is also popular shopping and entertainment district and knownas a food destination. 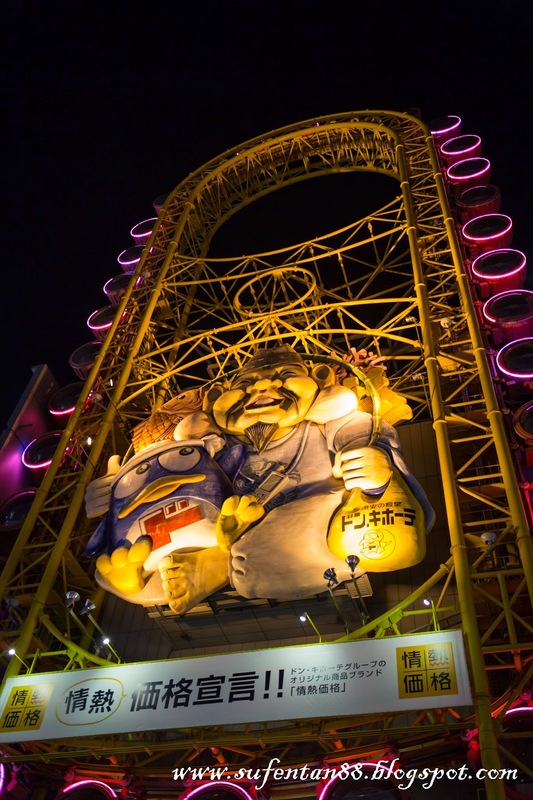 At night, you will see the whole street is lighten up by hundred of neon lights and mechanized signs, like the famous Glico Running Man sign and Kani Doraku crab sign. 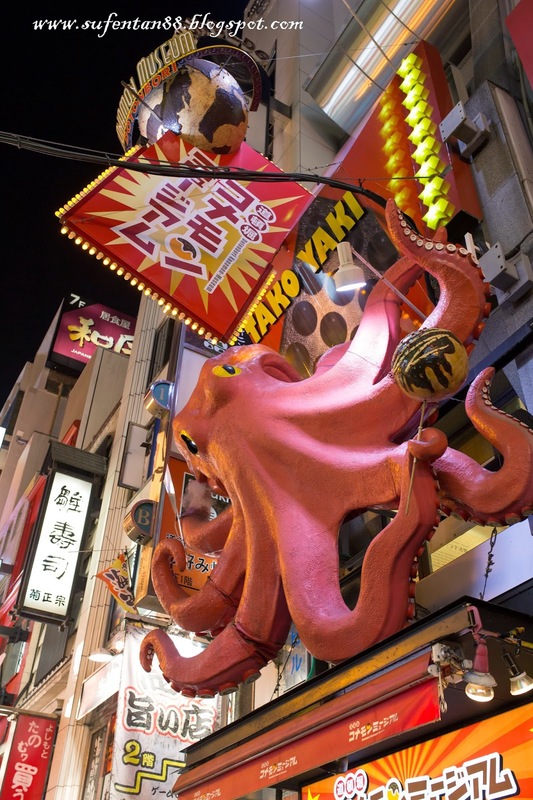 A five-minute walk from Namba Station to the Dotonbori area. 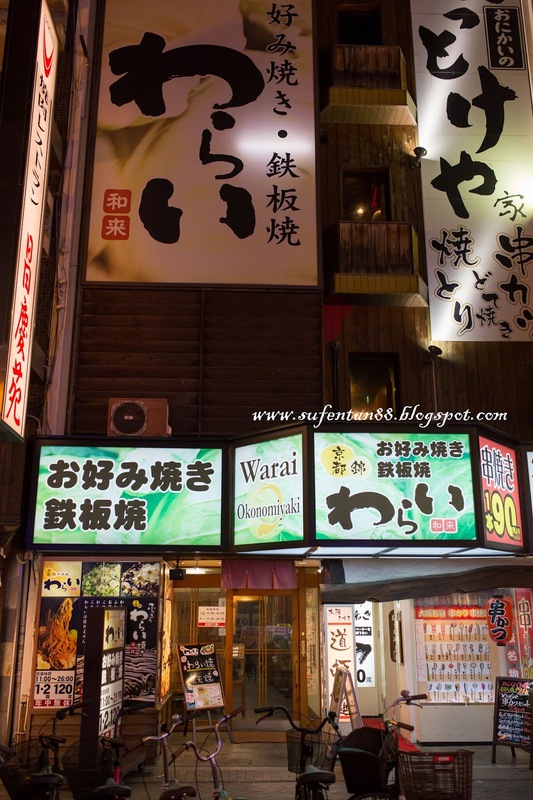 The famous outlet in Dotonbori is the Kani Doraku crab outlet, since it is packed with tourists, we shift to have some Okonomiyaki nearby. 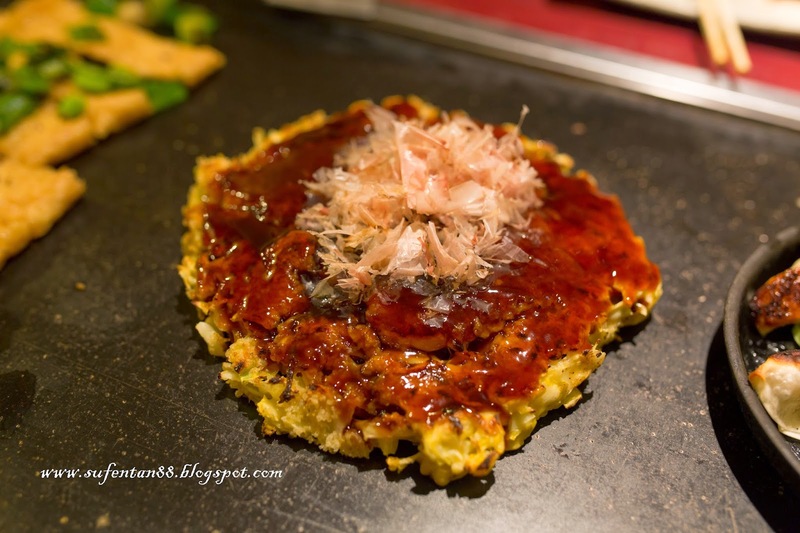 Okonomiyaki is in my must try food list when come to Japan, as you won't find similar experience and taste in KL. Since this place is filled with tourist, you can expect them to have English menu to cater to people like us. Although, they can't reply you in English, but at least you have photos to show them when ordering. When you dine into this place, expecting to have BBQ smell all over your body. Because all their food will be cook in front of you! There is a long flat stone pan in the middle of the table. 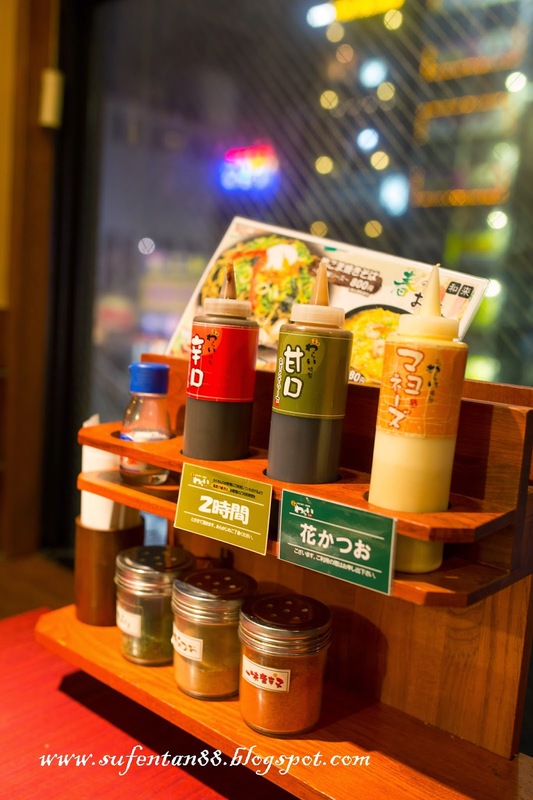 Waitress will placed the ingredients on the pan and you can witness how your meal is cook. 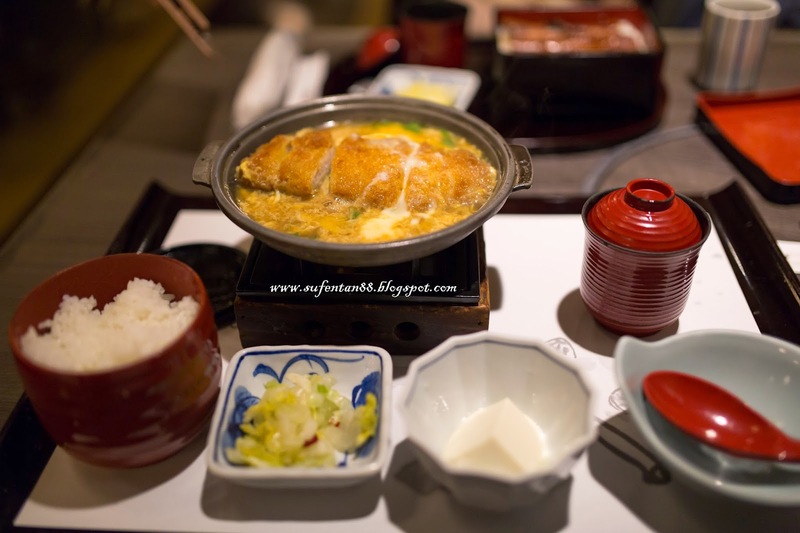 It is taste similar to our Chinese Fu Chook, but it is thicker and crunchy. We both like this every much. I am a person who like strong taste but this Okonomiyaki is a bit too rich in taste. 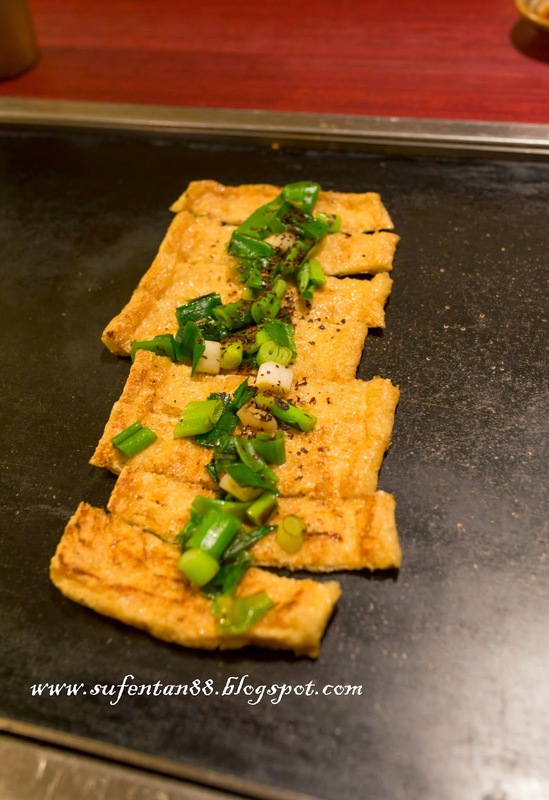 It do taste delicious, it was fried until golden brown and crunchy on the outer skin, it taste better than Korean Panjeon. We actually drank a lot of water after the meal. 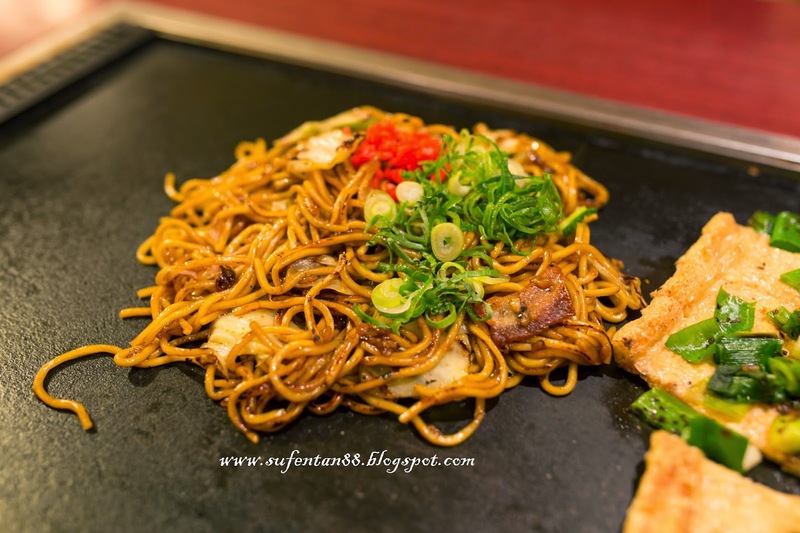 The Yakisoba is also cook on the pan where all of the ingredient are pre-prepared. Basically, it is lay on the pan to be reheat. 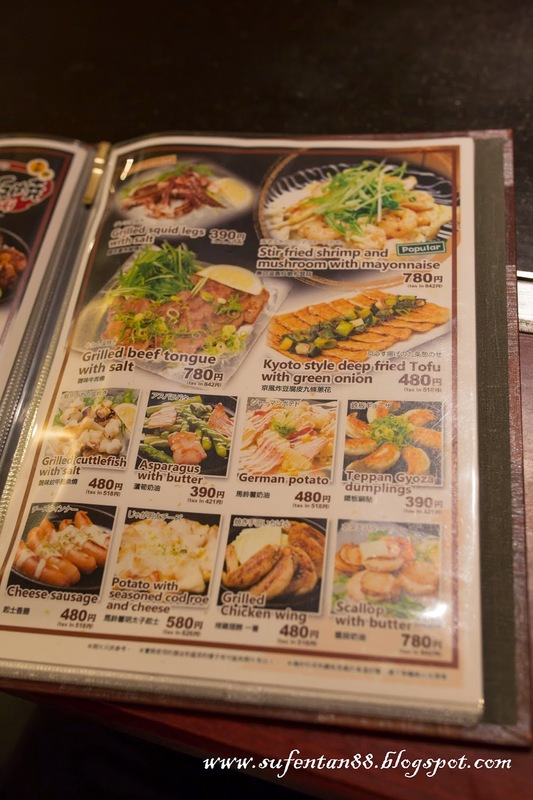 However, the taste is quite similar to Okonomiyaki and I feel bored of the taste after awhile of eating. Our first day in Osaka give us a feel of "we are back to city", the busy streets with cars and buses, people walking fast and everywhere is crowded with tourist. 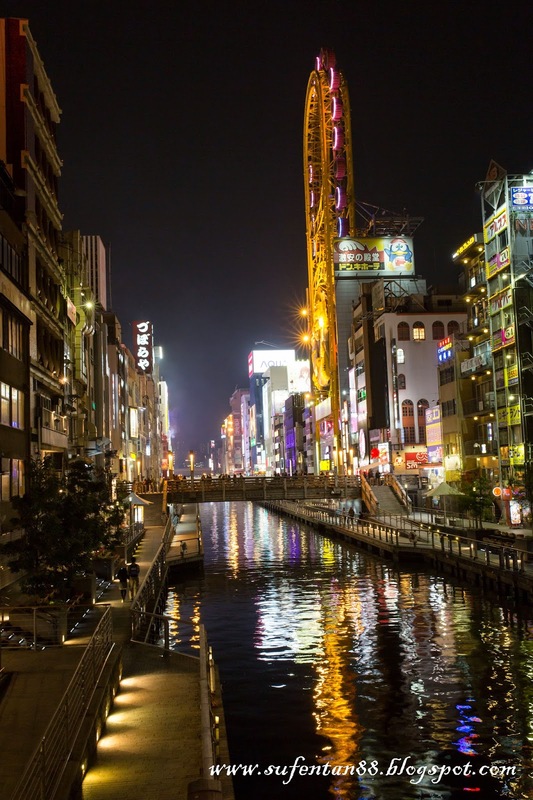 This is the life in the main city of Osaka. 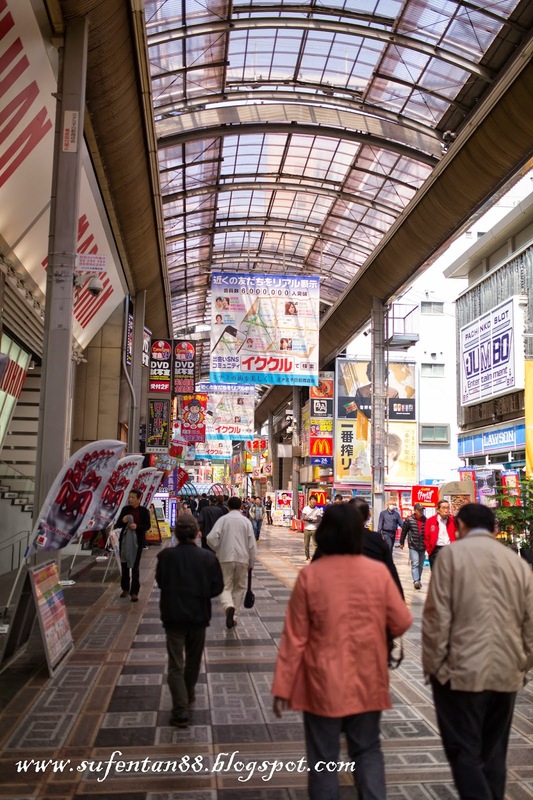 We still love the life of Kyoto, beautiful scenery, slow-paced, quiet little town and good food.